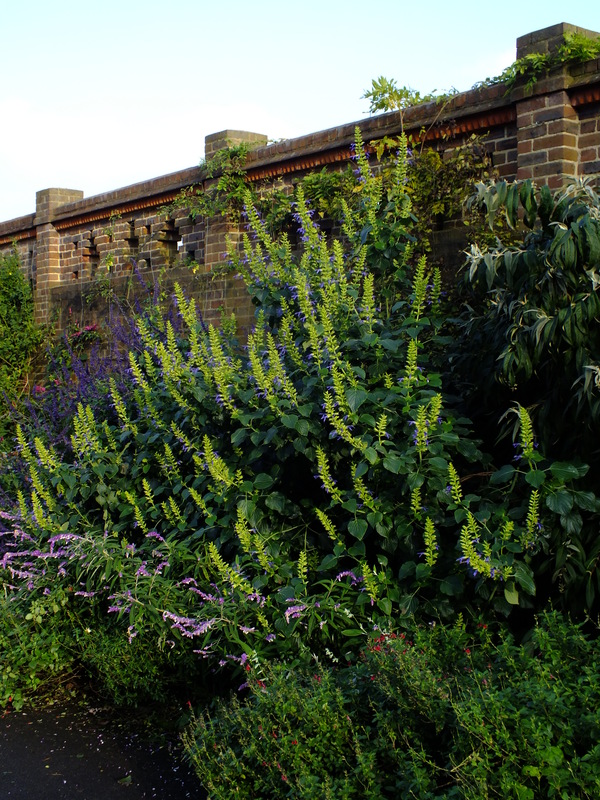 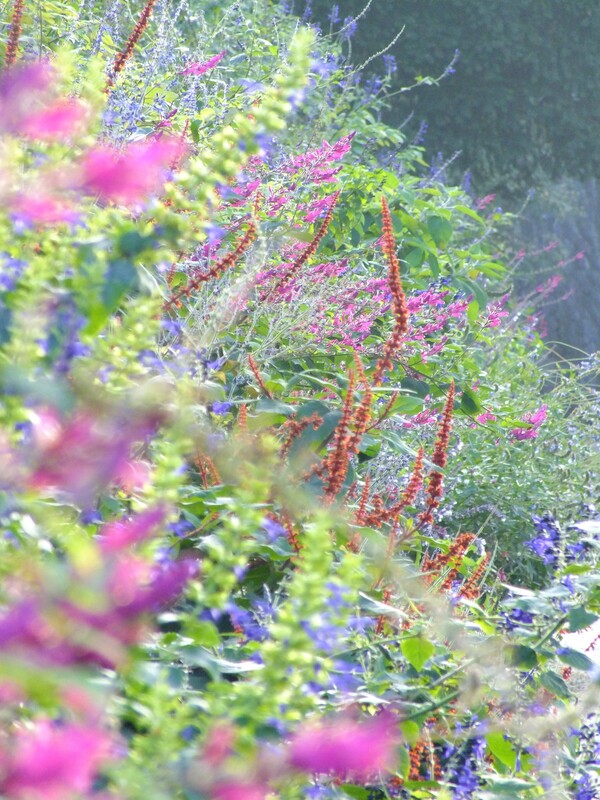 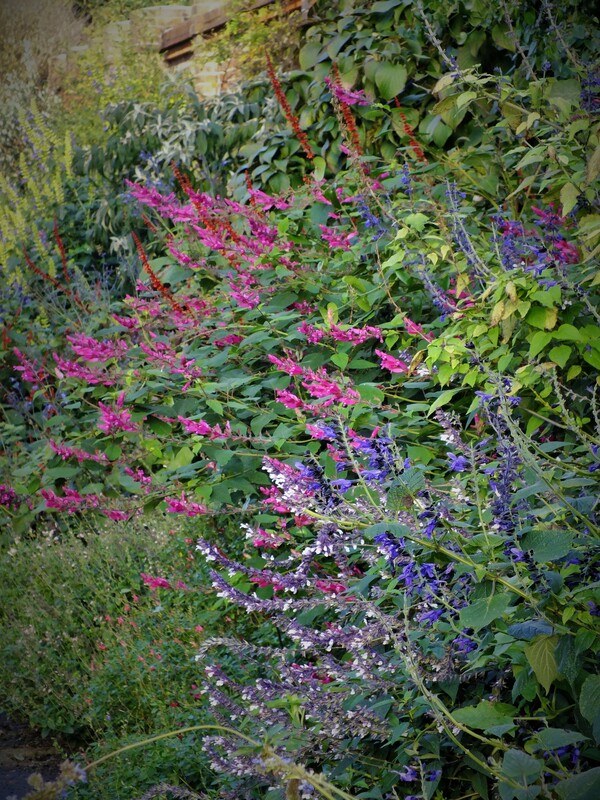 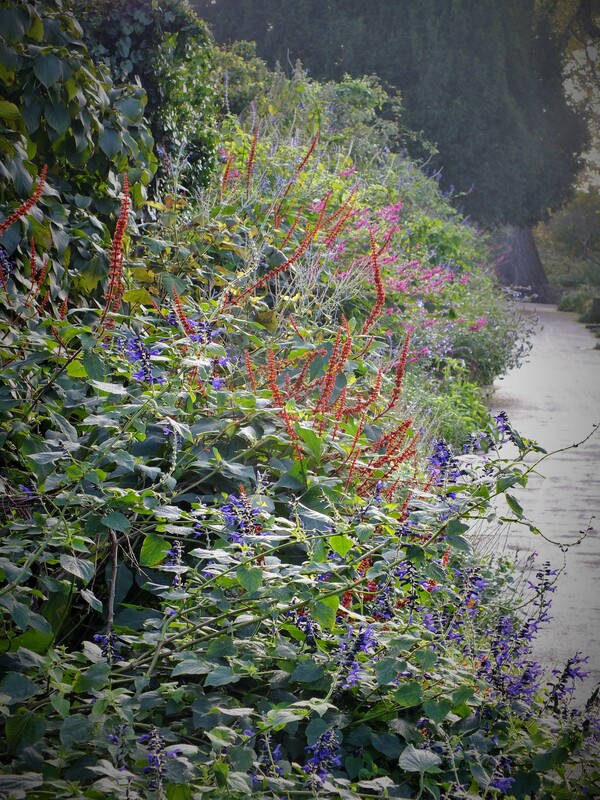 This very long border, packed full of all manner of Salvias, is looking just glorious – despite it being the 20th November – a late triumph of colour, with dark blue-blacks and palest blues, indigos and purples, reds, pinks, cerise and carmine set against typically aromatic leaves. 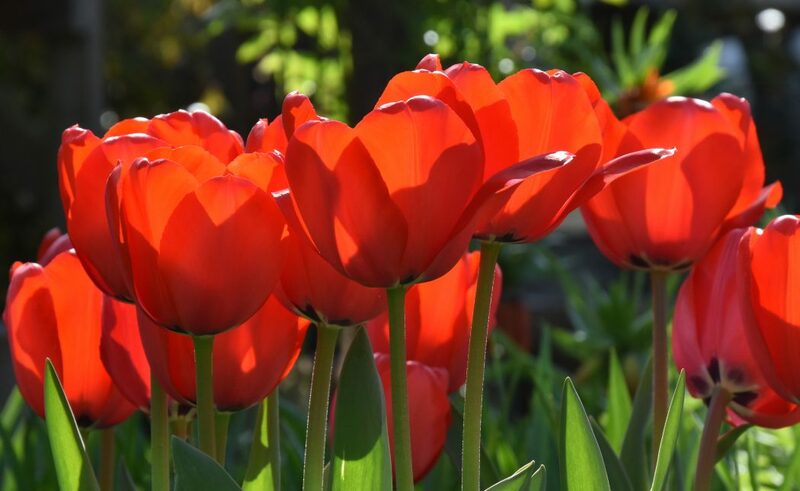 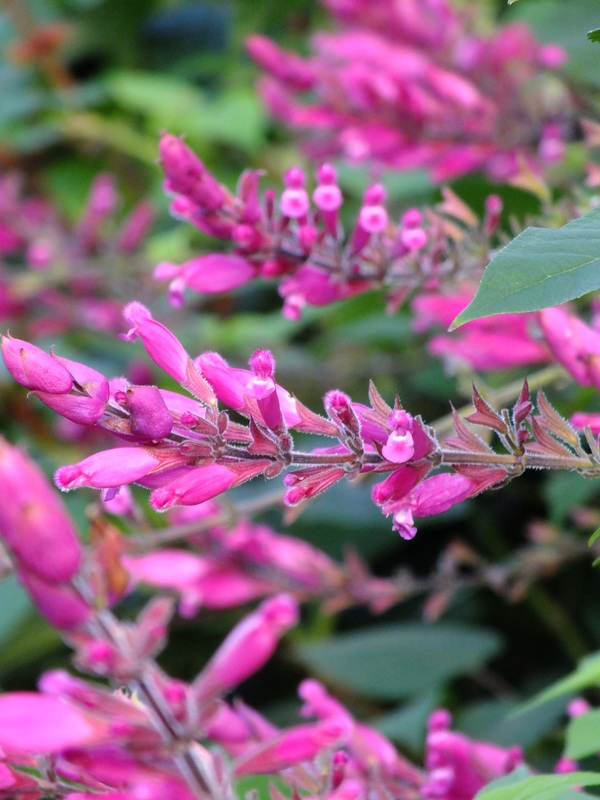 These are tender, half-hardy and borderline hardy plants that really do pick up the pace as the days shorten and they are bright and healthy specimens still, though we have had at least one frost. 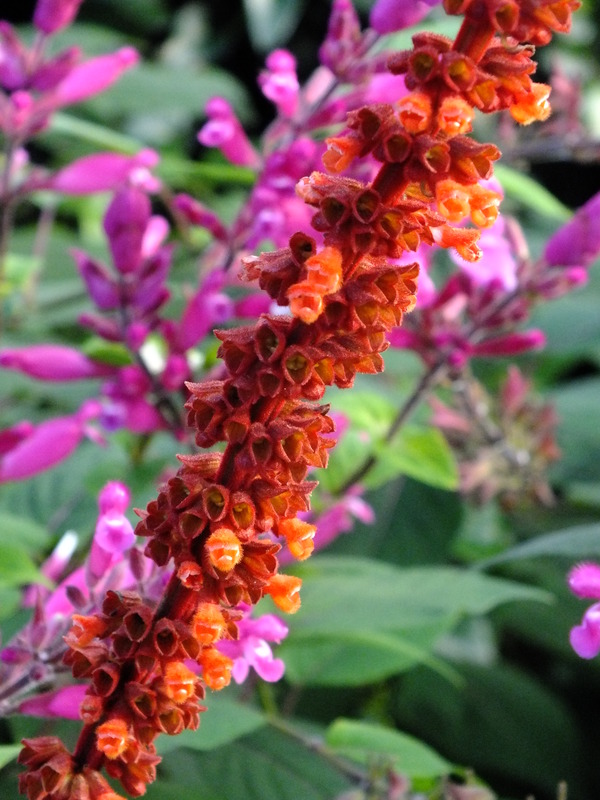 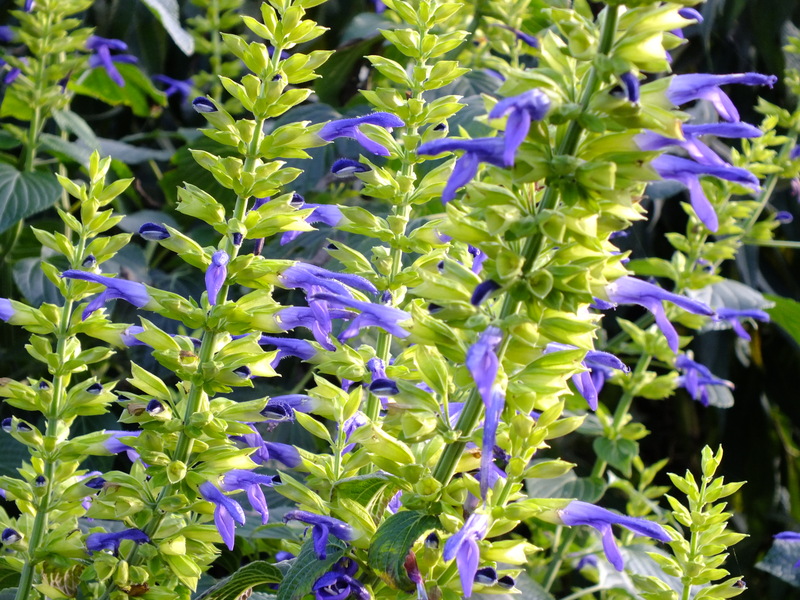 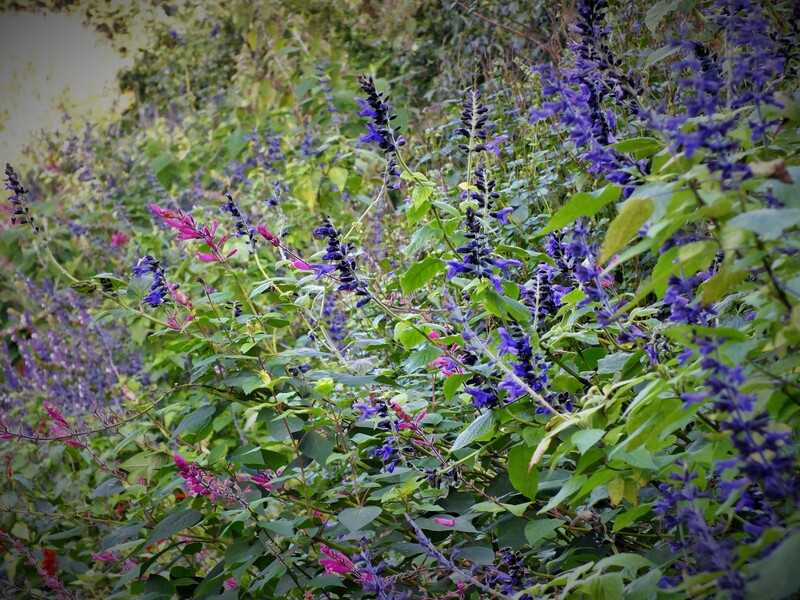 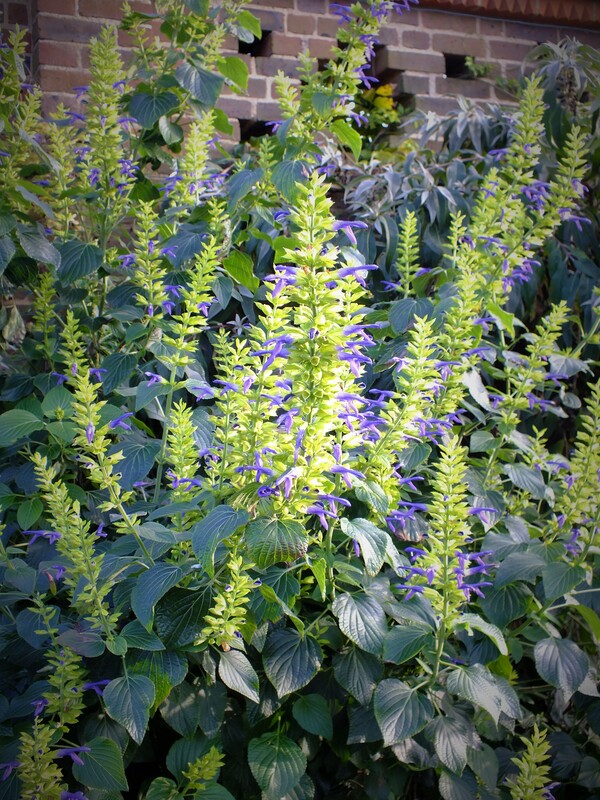 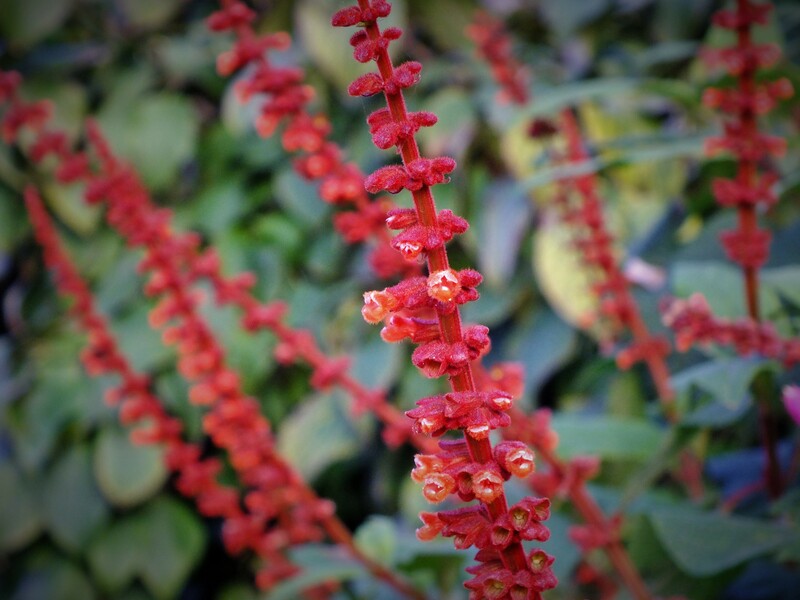 I’m growing Salvia Amistad at home – like the deep blue-black specimen above – and a rich pink of similar flowering form, though more compact, Wendy’s Wish. 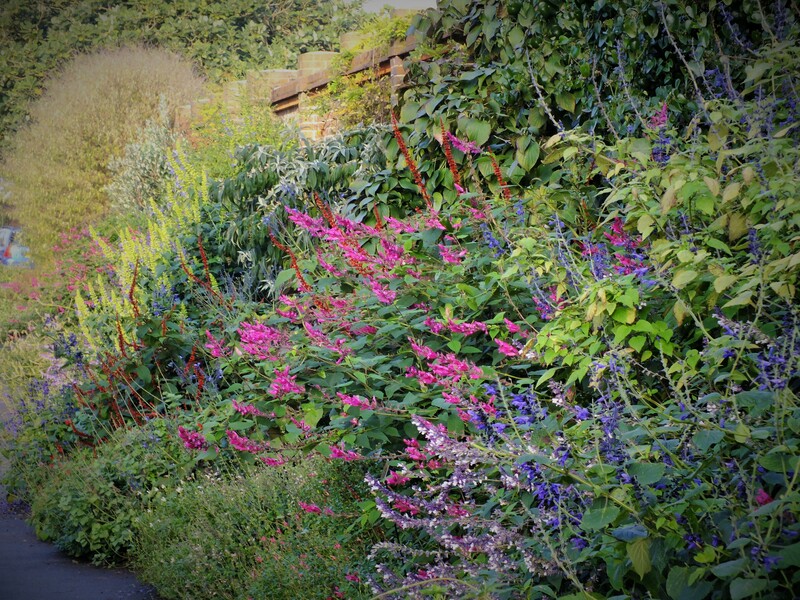 I think I might have to plant more given this end of the year bonanza.